The primal duality of the Book of the Law are the two deified principles of Hadit and Nuit. For me these have always primarily been perceiver and perceived – effectively identical to what is meant by Purusha and Prakriti in Patanjali's Yoga Sutras. However, these are also any duality: Heaven and Earth, North and South, Yin and Yang etc. Their dialectical interaction is the manifest God Ra-Hoor-Khuit. In this is hidden the unmanifest Godhead Hoor-Paar-Kraat, and these two are really unity, as Heru-Ra-Ha. In The Law is for All, Crowley notes concerning Nuit and Hadit: “Our central Truth – beyond other philosophies – is that these two infinities cannot exist apart.” I read Thelema here as deviating from Patanjali in the following manner: for Patanjali, the intermixture of Purusha and Prakriti, Hadit and Nuit, is a stain. For him, the Great Work consists in separating Purusha from Prakriti, thereby dissolving existence and permanently ending the manifestation of Prakriti so that Purusha can “reside in its own essence”. I read Crowley as disagreeing with this approach. Existence is pure joy, not an error. The dialectical interaction of Hadit and Nuit produces ecstasy as its byproduct, and must therefore be accelerated rather than disengaged. There is a putrefaction stage, but suffering is ultimately a necessary component of this process. Ecstasy can only be such relative to and in relation to suffering. The IAO formula expresses this most clearly. the unmanifest Godhead Hoor-Paar-Kraat, and these two are really unity, as Heru-Ra-Ha. If RHK reflects the manifest Nuit, and HPK reflects the unmanifest Hadit, then what does HRH rflect? 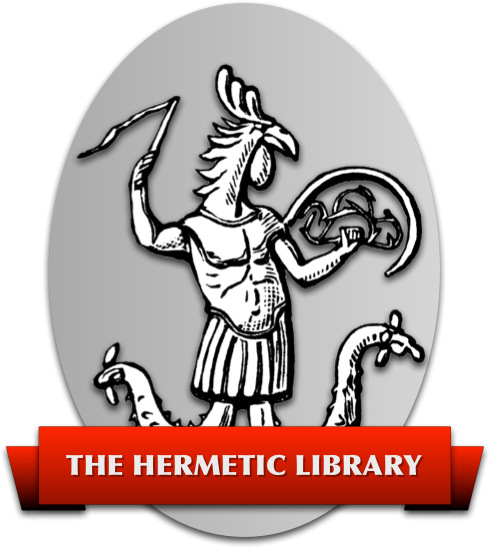 It adds to my understanding at least….these word plays……hey, I mean in the azoth, puns and wordplays by the forms encountered are basically commonplace and expected….